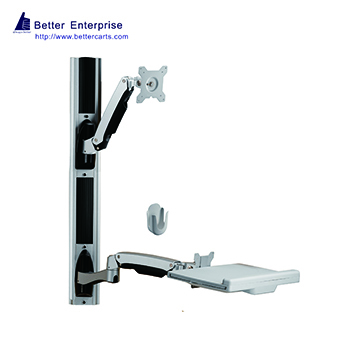 Better Enterprise is Wall Mount Solution manufacturer, Wall Mount Solution supplier, and supplying professional Wall Mount Solution products. 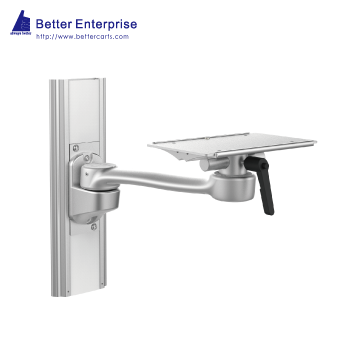 With Better Enterprise′s wide range of production methods, experience and OEM capability, Better Enterprise will be your first choice for Wall Mount Solution. Choose Better, Always Better.We Products: Medical Instrument Stand, Mobile Computer Cart, Mobile Equipment Cart, Medical Roll Stand, ECG Cart EKG Cart, Ventilator Cart, Ultrasound Cart, IV Stand, Classic Cart, MRI Conpatible Cart, Infusion Pump Stand, Wall Mount, Desk Mount, Stools, LCD Monitor Cart, Accessories.